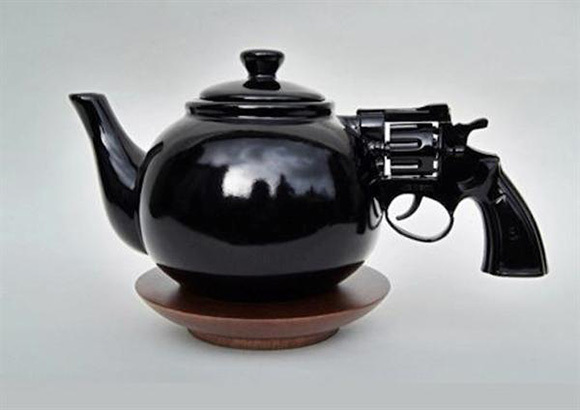 Sasha Jackson Mysteries : Is that a gun in your teapot...? I really don't like guns, but the ones shown here are pretty cool! 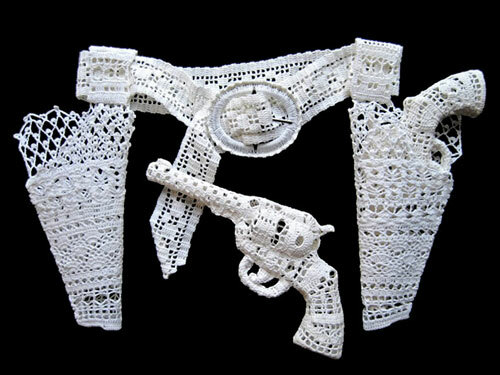 Of course, these guns would be useless in a murder mystery. Chocolate that's to die for! 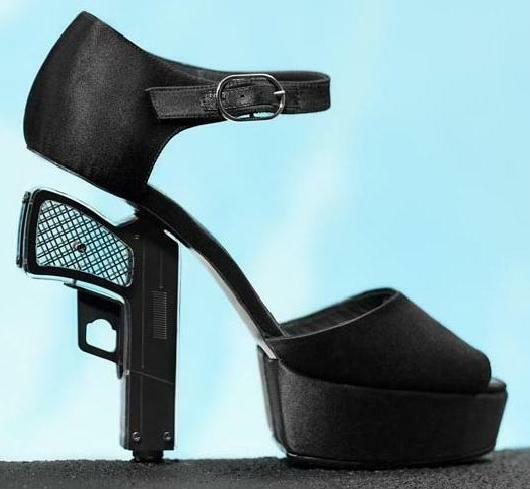 Shoes for a Femme Fatale! 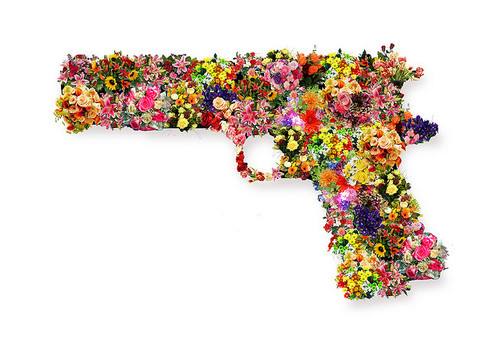 Happiness is Flower Power, Baby! I have no idea what to say here... 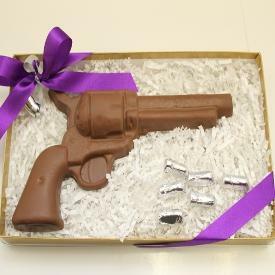 But I'm thinking "Annie Get Your Gun". 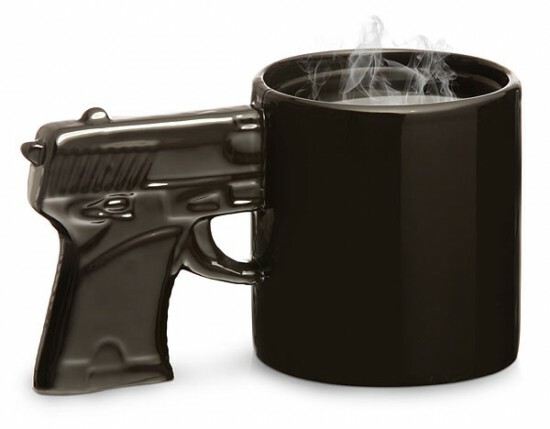 I want one of these for my morning coffee. Don't speak to me until I've had a cup! I really wonder what person out there had the time, the imagination, and the skills to make this? Works on a metaphoric level, I guess. I'd love to see a Jazz Quartet using instruments like this! NB: I have not listed sources because I found each of these images on many websites and the original source was unclear to me. 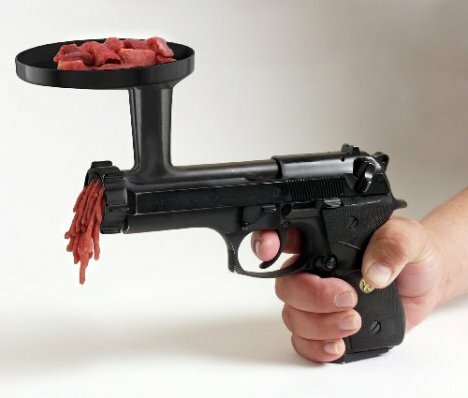 I simply Googled "funny + gun" and "creative + gun", etc. and the images above turned up on multiple sites. The meat grinder freaks me out a little, but I love the teapot!